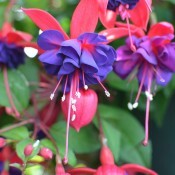 For over 150 years, Fuchsias have been popular with gardeners around the world. Named after the German botanist Leonhard von Fuchs (1500-1566), the first hybridizations were dated about 1820. 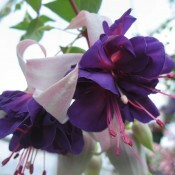 These garden favourites are perfect in hanging baskets, mixed containers and window boxes. Create exotic looking and show-stopping garden displays with the semi-double flowers of the Blacky. 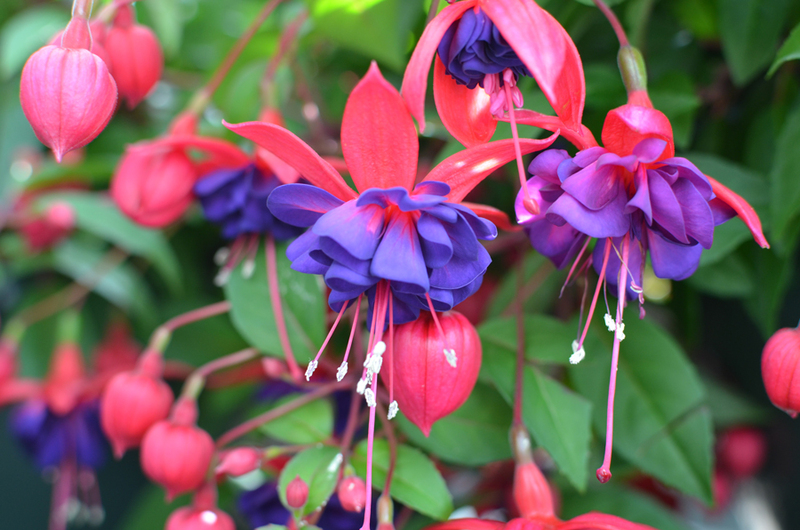 Trailing growth habit and spectacular flowers make this classic Fuchsia a perfect choice for bedding, baskets and patio planters. It has deep crimson sepals and mysterious purplish black corollas. 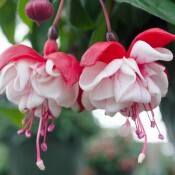 Deadhead faded fuchsia flowers to prolong the flowering period. Trailing growth habit and elegant flowers make these a pretty choice for bedding, baskets and patio planters with its striking red and blue double flowers. 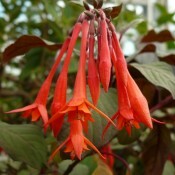 Fuchsia Insulinde has large clusters of fire red blossoms. Upright growth habit and elegant single flowers make these a pretty choice for bedding and patio planters. 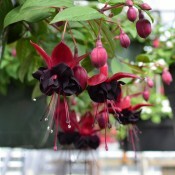 Swing Time is a showstopping fuchsia. The large double white petals contrasts beautifully with the bright scarlet sepals drawing attention to your charming, long-lasting displays. Masses of these elegant blooms will cascade gracefully over the edges of baskets, containers, and window boxes.